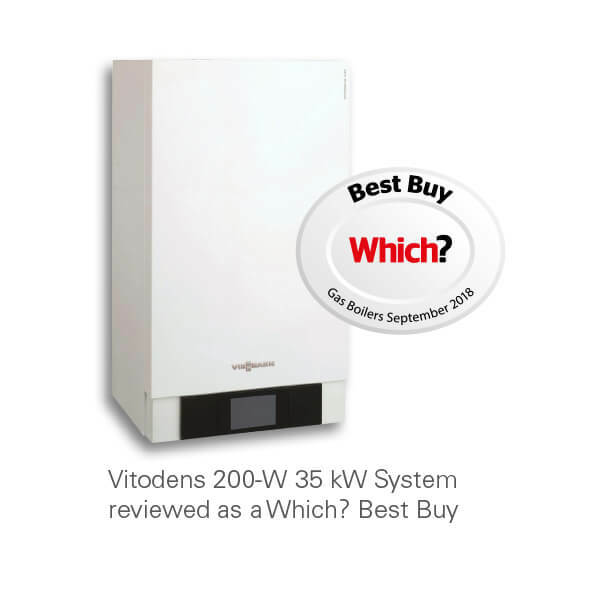 Doing a Viessmann Vitodens 200-W Review is easy-peasy, because it’s literally the best boiler available in the UK right now. There is nothing else in the UK market even close to this. A lot of manufacturers would like to call their models the best boiler, but it’s wishful thinking, without much substance. 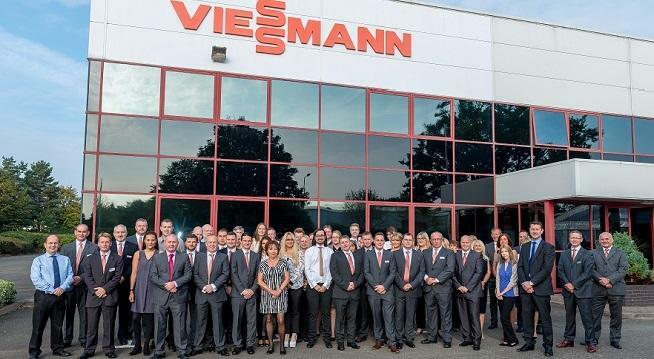 Viessmann, as the name implies, is a German brand operating since 1917. They’ve operated in the UK for the past 30 years, since 1989. Over 12,000 employees across the world. 23 production facilities in 12 countries. Subsidiaries and representations in 74 countries. Several sales offices around the world. They are the undisputed world leaders in commercial heating. If you’ve felt warm and comfortable in large sports stadiums, theatres and corporate buildings, chances are that’s because of these massive Viessmann Commercial Boilers. 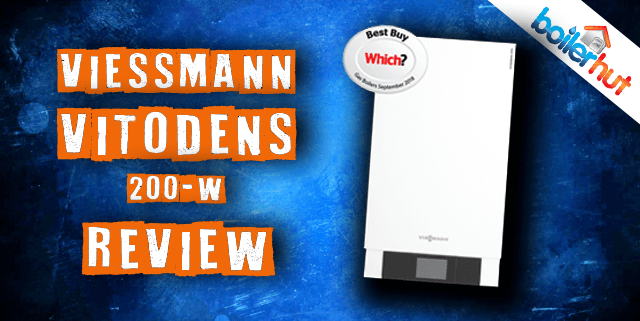 This Viessmann Vitodens 200-W Review takes a detailed look at the winner of Which? Best Buy Boiler award for the 2nd year running in 2017 and 2018, and on track to repeat it in 2019. Viessmann are going against Worcester Bosch and Vaillant in the fight for UK central heating dominance. Both of its rivals have been present in the UK almost 4 times longer, and so obviously have a better foothold in the UK market. But Viessmann have caught up quickly and are knocking at the door for UK central heating supremacy. What does a 200-W Installation Cover? The Vitodens 200-W comes fitted with a large touchscreen display that allows easy control over the boiler unit. The interface itself also supports remote control that you can use through your smartphone. This type of remote control has been increasingly popular over the last few years, and makes understanding the complexities of how your boiler works a lot simpler and easier. If this isn’t the case and a fault has been picked up in your system, then you will be notified automatically. By entering your contractor’s details into the app directly, you can save time by ensuring that they’re able to help you with any issues the moment they present themselves, removing all stress and panic from the situation. How about that for a quick and professional solution? 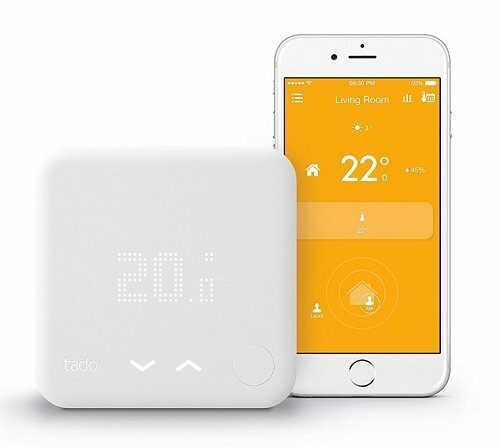 For more specific thermostats, we’ve included the Tado Smart Thermostat for this Viessmann Vitodens 200-W Review, a product that Viessmann themselves specifically recommend. It can be controlled wirelessly in your property, but also through a smartphone app when you’re away. Just think how it could help warm your house ready for when you arrive home! This may add some cost to your boiler installation, so if you’re looking for a cheaper alternative, the EPH Combipack 4 Thermostat works great with the Vitodens 200-W as well. Much like in other Viessmann boilers, the stainless steel Inox-Radial heat exchanger is extremely durable and offers a corrosion-resistant solution that other boilers in the current market don’t supply. Stainless steel is highly resistant to corrosion for many pH levels. For aluminum, if the proper fluids are not used to produce and maintain a narrow pH range, it can corrode much faster. and your heat exchanger will be permanently damaged – costing you more in the long run. So while stainless steel might be more expensive to source or manufacture compared to aluminum, the investment will be more than worth it further down the line due to its corrosion-resistant qualities. You can always appreciate the visual quality of the Viessmann 200-W with its sleek and professional look, but it’s also a very quiet piece of technology. With its internal design allowing it to operate at a noise level of only 39 decibels at a maximum of 26 kW, it works at a perfectly acceptable volume, even in busier areas of the house such as the kitchen. Built to last with durability, and a high efficiency rate of up to 98%, it’s an incredibly easy choice. All Viessmann boilers utilise the important weather compensation technology. And this Viessmann Vitodens 200-W Review won’t be complete without Weather Compensation. A temperature sensor is installed on a north facing wall, which is wired to the internal controls of your boiler. The weather compensation sensor will send information about the outside temperature to your boiler controller constantly. When there are changes in the outside temperature, the boiler will respond by increasing or decreasing the radiator temperature. But what does this mean to the average user? You’ll be cosy and warm inside your house, and won’t even notice that the temperature has changed outside. If you think about how the outside temperature drops at night, then that means that heat is lost through the property walls. Better insulation helps alleviate that issue. Unfortunately, not everyone will have the luxury of excellent wall insulation – which is where weather compensation comes in. So even if it suddenly becomes freezing outside, your boiler will react accordingly to ensure you’re always living at a comfortable temperature. 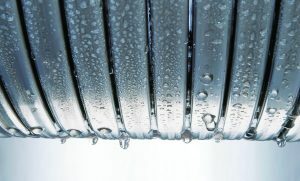 Without this weather compensation technology, the temperature is dependent on a room thermostat, which only takes effect after the inside of the building is too hot or too cold. With the use of its sleek touch screen interface, Inox-Radial heat exchanger and remote control system, you can see from this Viessmann Vitodens 200-W Review that it’s a flexible and efficient wall mounted gas condensing boiler. For positioning, it can be easily wall mounted in any typical airing cupboard or bathroom recess. Not only this, but it is extremely easy to maintain. All components are accessible through the front, allowing regular services to be a very easy process. 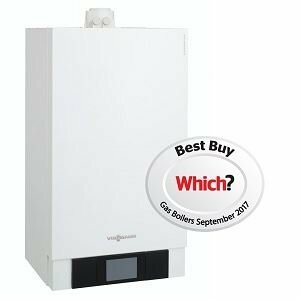 It’s easy to see that there’s not much competition as far as far as wall mounted recommended combi boilers go. By utilising all the best parts of affordable Viessmann models, including the future-proof Lambda Pro Control Combustion Controller, it’s king of the market. On top of this, it’s also the prettiest and most technologically advanced boiler in the market featuring a 5 inch colour touchscreen. Furthermore, it adapts to different gas qualities automatically, so there is no need for an LPG conversion kit. A whopping 98% energy efficiency makes this one of THE most efficient boilers in the UK. With the help of other accessories such as programmable or learning thermostats, this could even reach 100%. Icing on the cake; quietest combi boiler available in the UK, so it ticks all the boxes for visual and audio aspects of the home. For those of you with a larger property or a requirement greater level of water pressure, the Viessmann Vitodens 200-W is an absolute no-brainer. It provides exactly the right sort of no-nonsense heating that you’re looking for with the best engineering design in the industry. It provides this heating on an unprecedented level of efficiency, saving you a lot of money that would otherwise be taken out of your account thanks to your energy bills. 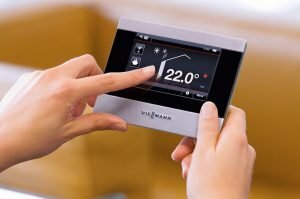 You might be wondering after reading this Viessmann Vitodens 200-W Review just how much an installation would cost. It can often be around £2000 including extended warranties, weather compensation, expert gas safe installation, controls and other extras. So considering the excellent service and added products that may be included in this charge, it’s clearly a no-brainer!